The 10 Best CrossFit Gyms in Iowa! Specializing in strength that easily applies to every aspect of your life, certified CrossFit gyms have been popping up all over the nation for good reason. Few other workout routines compare to the fast-paced and dynamic movements involved with CrossFit, and few others can deliver on the same life-changing results. Here are the 10 best CrossFit gyms in Iowa. Perfect for the experienced athlete or first-timer, Pro-Fit Gym of Coralville has been producing results in the community for over six years. Alongside a wide variety of CrossFit workouts and play space, Pro-Fit also provides other programs such as indoor cycling, yoga and FIT body transformation. Specializing in specialized workouts, Pro-Fit caters towards the individual needs of each patron, lending towards faster results on your fitness goals. The original CrossFit studio in Iowa City, this sweat space caters towards all levels of athletes. At the heart of this heart-pounding facility is 3,000 square-feet of workout space, including top-of-the-line CrossFit equipment. Accompanying the abundant space is an outdoor concrete pad and grassy area to incorporate some sunshine into your routine. Featuring a lengthy schedule of classes and coaches, it’s easy to find the one-on-one attention you need to blow past your fitness goals. No matter your fitness level, the coaches and staff at Max Oxygen CrossFit Downtown in Des Moines encourage everyone to only show up with a “can-do” attitude. With scalable daily workout routines and an intensity of your choosing, Max Oxygen of the metro is a great place for anyone to get their pulse pumping. Personal training and yoga are also available, and for the younger ones in life, a specialty tailored kids and teens CrossFit is also available. The best CrossFit spot the area, the Cedar Rapids CrossFit Gym offers classes all day long and invites camaraderie alongside each muscle movement. With certified instructors and state-of-the-art equipment, it’s easy to find yourself in the CrossFit rhythm when visiting, and a free first-workout is a great introduction to the space. Another great option for getting into a healthy lifestyle, the six-week Fit Kamp is a great way to get into the sport for life. Unleash some primal instincts at CrossFit Primal of Waukee. This community-first, gym-second workout space has 15 years of experience and delivering results. Through that time, CrossFit Primal has perfected the atmosphere of fun and encouragement, of which they claim is vital to reaching any goals you have set for yourself. Thanks to thousands of satisfied athletes and the presumably extra years they have added to their lives, this CrossFit Gym might really be onto something. Featuring sport-specific training, one-on-one personal attention and a wide variety of daily workouts to challenge your muscles, CrossFit OC3 is one of the best places to work out in eastern Iowa. Centrally located in Davenport, OC3 encompasses over 6,000-square feet of gym space including a lounge and locker room. Outside of the regular schedule of CrossFit workouts, OC3 provides other supplementary programs including a running routine, specialty teen workouts and On Ramp Intro Classes. New to the CrossFit arena in Iowa, and long-lasting in its results to the body, CrossFit 563 serves Bettendorf and the rest of eastern Iowa with awesome workouts. Whether you are new to the CrossFit community or are a seasoned athlete, CrossFit 563 encourages everyone to scale their workout and come check it out. With over 3,500-square feet of brand-new workout space filled with every type of equipment you could possibly ever need; this newly minted workout space can provide the best hour in your day. If you like some open-air workout space during the warmer months, then among many other reasons, CrossFit 8035 At the Garage is perfect for you. Besides a fresh-air environment, this Des Moines CrossFit studio also provides great Workouts of the Day, different athletic programs and a fun community of like-minded people. Besides hourly CrossFit times on the schedule, The Garage also provides foundation classes, Elevate specialty classes and Pro Comps throughout the year. Offering 30 daily classes each week, CrossFit Beo is the Siouxland’s number one spot for this dynamic exercise routine. Featuring certified and personable coaches and instructors, one-on-one attention is part of the routine at CrossFit Beo, and so is the community spirit. 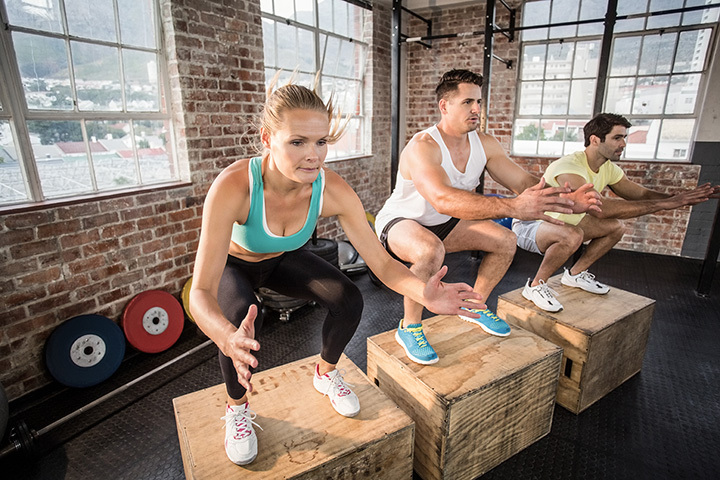 If you are looking for some great motivation for working out, and some easy-to-see results from your efforts, CrossFit Beo delivers on every aspect of a healthy lifestyle.